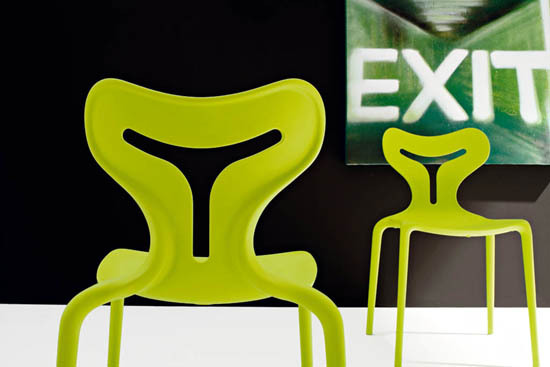 The Area51 Chair is more than vogue, as it features a futuristic design. 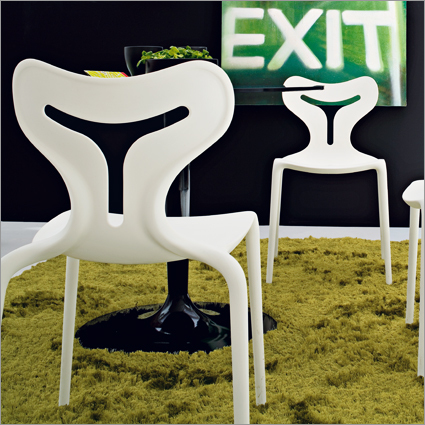 This Italian dining chair by Calligaris presents a playful and light aura. 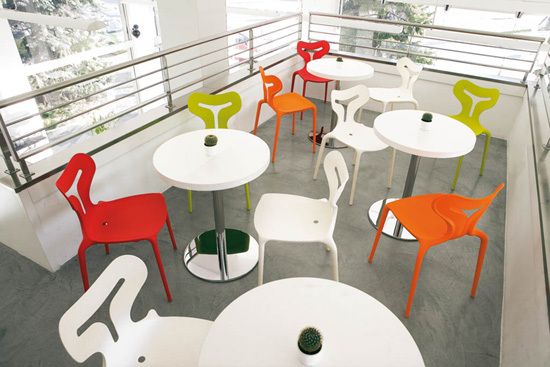 With its ergonomically designed backrest, Area 51 is incredibly comfortable. Suitable for use indoors and out, a small hole at the back of the seat allows for easy drainage, keeping seats from damage. 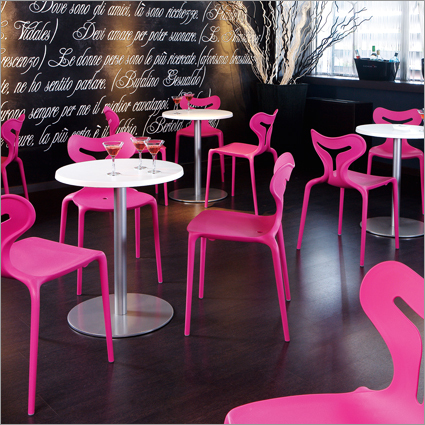 Area 51 comes in five stylish colors and stacks up to 8 chairs high. This out of this world shape contributes a trendy appeal.